Tom is a London based Sculptor and Architectural Carver who has been producing sculptural work to the highest standard for over a decade. He has won the prestigious “Carver of the Year” awards in 2013 from both the Master Carvers’ Association and the Worshipful Company of Masons. 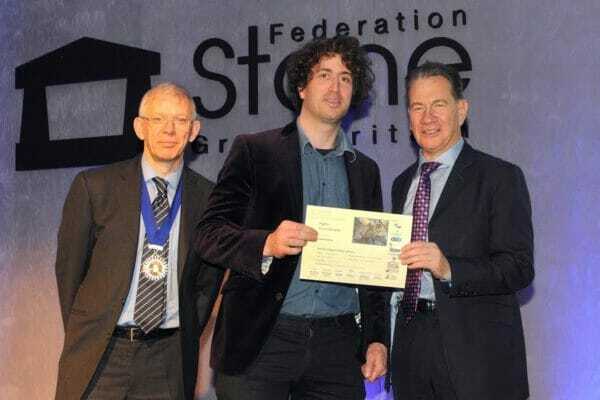 Tom also received the “Highly Commended” award for Craftsmanship at the Stone Federation of Great Britain awards in 2016 for his carving work. As well as being a highly respected craftsmen Tom is also known for his ability to design and create sculptures that are uniquely his own whilst remaining true to his clients’ vision. Creating work to suit any site or context, Tom has completed various high profile architectural and ornamental sculpture commissions. Tom first trained at Weymouth College in the traditional techniques of Stonemasonry, Carving and Lettering. This provided him with a solid foundation in the craft. While developing his skills as a freelance sculptor, Tom went on to win a QEST (Queen Elizabeth Scholarship Trust) Scholarship which allowed him the opportunity to embark on a Post Graduate Diploma in Historic Stone Carving at the City and Guilds of London Art School in Kennington where he obtained a 1st. In 2012 Tom was awarded the opportunity to be a key part of the core team of seven sculptors who worked on producing the Heraldic Ornamentation for the Queens Diamond Jubilee barge project. Modelled in clay, the monumental sculptures were then cast in resin and gilded. Other notable projects have included carving 6 large brick architectural relief sculptures on a mansion block near Sloane Square in London, carving a bespoke grotesque sculpture to his own design for St Georges Chapel, Windsor and also winning the Ripon Cathedral Gargoyle competition in 2015. As well as working to commission Tom also shows his design and sculptural work at major galleries and exhibitions in London including Thompson’s Gallery (Marylebone), The Mall Galleries (Westminster), Christies Auction House (St James, London) and at the Coronation Festival in Buckingham Palace. Tom has also gained extensive experience with three of the UK’s most reputable conservation companies. He continues to work between commissions on a freelance basis for a leading London based Sculpture Conservation Company on projects including work by Henry Moore, Jacob Epstein, Mark Quinn and Barry Flanagan. His restoration carving and conservation work is found in prestige landmark locations across the UK including Buckingham Palace, Kew Gardens, The Houses of Parliament, the V&A museum and The Queen’s College, Oxford. A keen artist, Tom always aims to expand upon his traditional skill-base to create highly expressionistic and energetic work for both speculative and commissioned pieces. His main concern as an artist is to convey a sense of life and movement.